You can’t go far in the city without coming across reminders of its seafaring past on buildings, fences, and fountains. 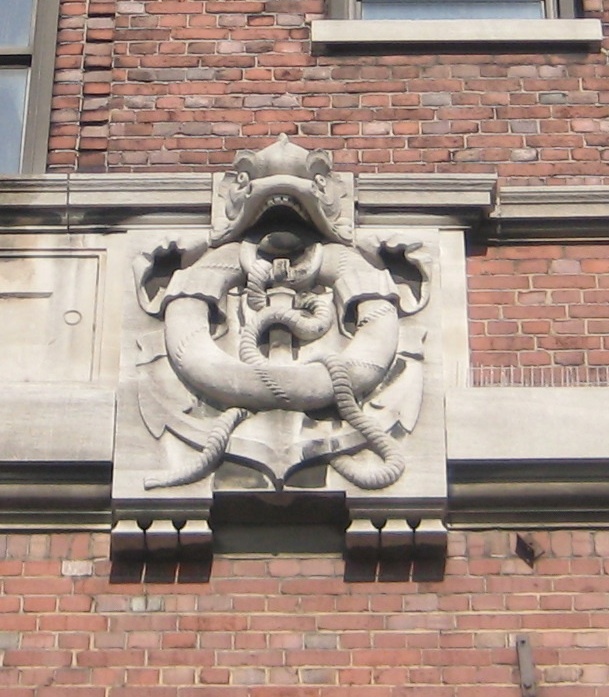 This fat-lipped fish with an anchor and lifesaver in its mouth appears on the West Street side of the current Hotel Riverview, originally the old Seaman’s Institute of the American Seaman’s Friend Society. 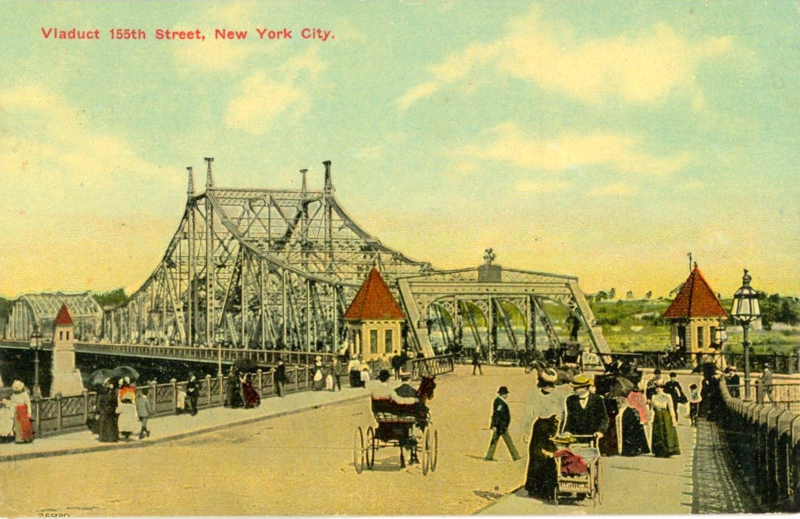 Built in 1910 with an octagon tower, the Institute, at the water’s end of Jane Street, was a refuge for “seamen in distress” and housed surviving Titanic crewmen. 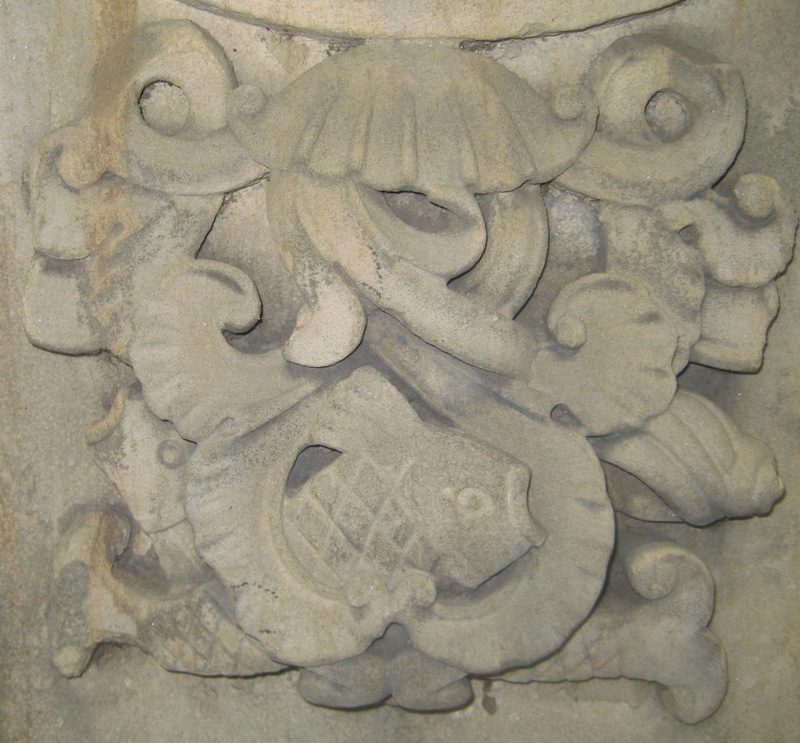 The little trout in this sculpture are in Central Park near Bethesda Fountain. Not much back story on it, but it’s simple and lovely. 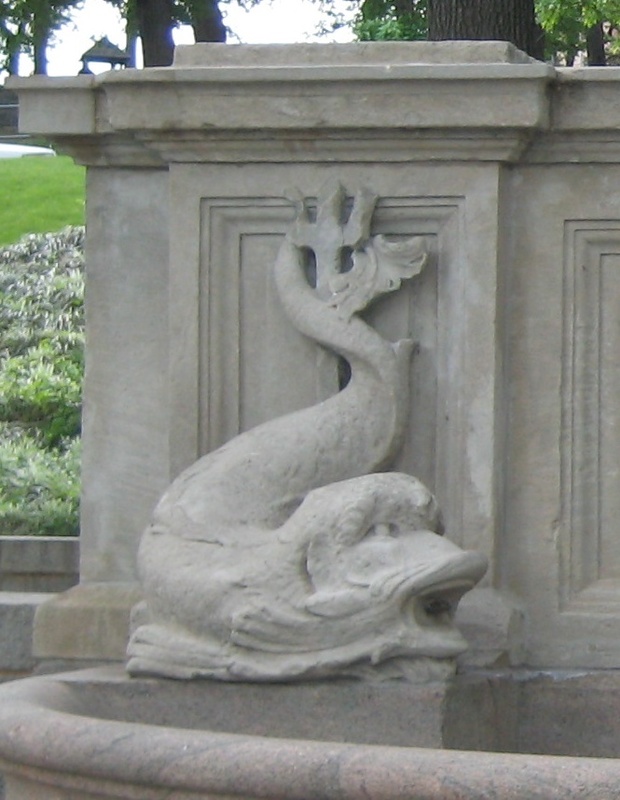 The limestone dolphin below, along with a matching dolphin on the other side, is carved into the granite fountain that used to be part of Macomb’s Dam Park in the South Bronx. The park is permanently closed to make way for construction of the new Yankee Stadium. Luckily the 1936 fountain was salvaged and now sits across the street from the current stadium.